Pasta has always been one of those favorite foods which can be made in any way you want and has a variety of recipes. Not only is it easy to make, but also is good in taste and nutritional. Moreover, it does not take much time to make pasta. Today, we bring to you one such dish which you and your family can enjoy in the weekends. 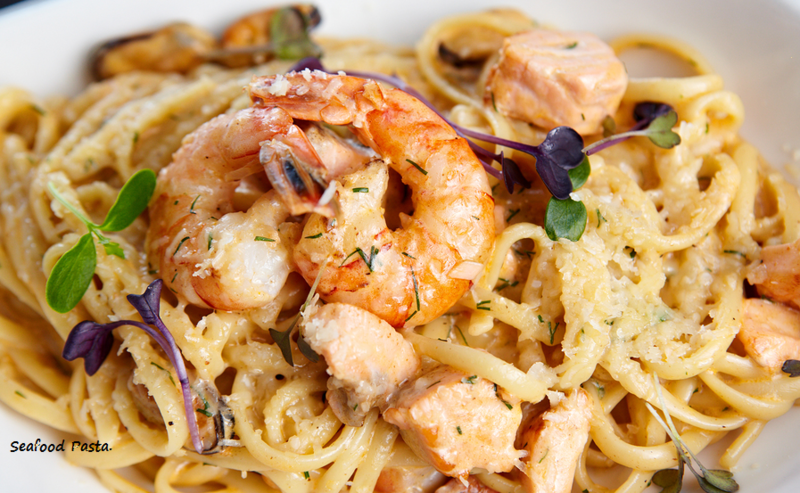 Seafood pasta is a twenty-minute dish which will bring a smile to every ones’ faces. Olive oil- 1 table spoon. Parsley leaves- handful, for serving the dish. Lemon- a bit, for serving the dish. You need to follow these steps to make seafood pasta. Take a large frying pan, put the oil and heat it. Add the chopped onions and garlic over medium heat for 5 minutes and make sure they turn soft and golden. Add the paprika, tomatoes and stock to the fried onions and garlic in the frying pan and then boil the whole mixture. When the mixture has boiled, turn down the heat to simmer. Stir in the pasta to the mixture and cook for 7 minutes. Sir occasionally to make sure that the pasta does not stick to each other. You can stir fry the sea food mix a bit to make them soft before adding it to the mixture. Stir in the sea food to the mixture and cook for 3 more minutes till it is all heated. Make sure the pasta is cooked properly, then season to taste. You can sprinkle parsley over the dish and add on some lemon wedges to make it look good. The dish is ready. Serve it while it is hot. This can be an ideal dish for house parties or weekend brunch. It is easy to make and extremely appetizing, especially for seafood lovers. Drop a comment below and let us know what you think. Sign up with us to get more recipes every day of the week.